The more people who voice their opinions on FRANCES HA, the more confused I get. Why I Saw It: There were plenty of people saying that it was a good movie, and I had enjoyed some of the work from (writer/director) Noah Baumbach before. I was also curious to see what Adam Driver could do outside of the GIRLS universe. When I say this movie was hard to watch, it had nothing to do with the fact that it was in black and white. It had little to do with the quality of the acting (which I found to be decent, if not “good”). The script didn’t find a way to get me interested in any of the characters, and just when I was starting to get interested in the main character, she’d do something completely random and they’d flip the story on its head or she’d transition into a whole new part of the story with new characters. None of the side characters were around enough to make a strong impression… and that, in and of itself, is a problem. This would have worked a lot better as a television show. In fact, I’d probably watch it. Memorable Performances: The film focuses almost solely on Greta Gerwig’s titular character, so I’ll undoubtedly remember her involvement. As mentioned above, no one else was in the film enough to be memorable, except perhaps Frances’ best friend, who didn’t make a lasting impression. I was happy to continue to build my knowledge of Grace Gummer, whose potential I’ve noticed in bits and pieces on Newsroom. Favorite Parts: There really weren’t any. I laughed at the irony of her inability to touch base with her friends in Paris until it’s too late, but that might be the only part of the film I enjoyed… and I probably shouldn’t have. The Regrettable Aspects: The jumping around, the lack of focus, the fact that no one else other than Greta Gerwig gets more than 5 minutes of screen time. I got really bored and I was waiting for things to come full circle or to give us reason to care about anyone… and I couldn’t find it. Would I watch it again? If someone made a STRONG case for this movie and found a way to get me interested in another viewing, I’d make it a priority. I’d like to understand where people are coming from when they say it’s a good film, because I don’t like to say something is subpar when other people are saying it’s great. To Whom Would I Recommend It? I would only recommend this to someone who was strong in their analysis of film and only if they were up for having an open mind and willing to discuss it with me afterwards. – I honestly can’t think of a similar movie to which to compare this… and that never happens. If you’ve got recommendations for alternatives to FRANCES HA, or for other similar films, let me know! Good review. 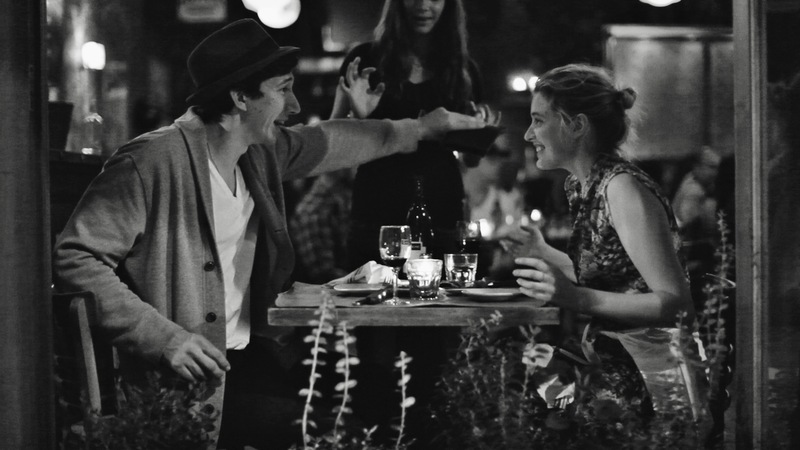 I’m usually not a fan of Baumbach’s movies, so I was pretty damn surprised when I actually found myself not just liking this, but being somewhat inspired as to how live my life as well. Sounds all serious and over-dramatic, I know, but for some reason, it’s charmed worked wonders on me. To me, it had an affectionate quirky charm that I lapped up. But that clearly didn’t affect you which I can understand. I can’t really make a great argument since it is quite the ‘hipster’ movie, if ever there were one. Also, Frances’ inability to really take action in her life must have driven other people up the wall. I wasn’t one of those. I quite liked this.